A club for Sandia labs, DOE and Kirtland AFB retirees. 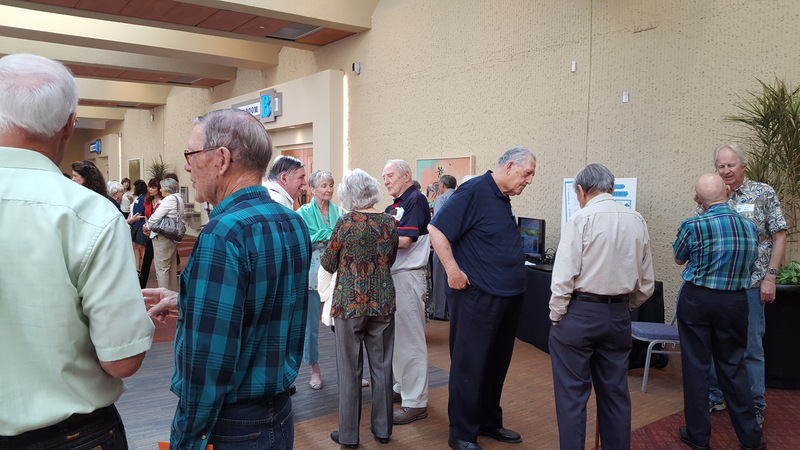 Coronado Thunderbirds is a club for persons 50 years or older who have retired from Sandia National Laboratories, Los Alamos National Labs, DOE/NNSA, other federal agencies, or the military. Spouses and surviving spouses are welcome to join. Great group of people, many of whom you may know from the labs or the base. Interesting talks – please see the agenda for the next meeting or the Previous Programs page. Other activities like Travel/Tour opportunities. KA-MO Engravers (Mike Holly), 5001 Douglas McArthur NE, 87110, phone 883-4963, email is KAMONM@aol.com. Mike’s shop is at his home, so please do not call before 10:00am. His price is $5.00 for a badge with safety pin clasp. A badge with a magnetic holder is $7.00. His turnaround time is usually around 1-2 weeks. Awards, etc., 904 Juan Tabo NE, 87112, phone 292-3337, email is linda@nmawards.com. Her price is $6.41 for a badge with a magnetic back. Her turnaround time is usually three days. Program, Tuesday, May 14th—Jerry M. Lovato, P.E., Executive Engineer, Albuquerque Metropolitan Arroyo Flood Control Authority (AMAFCA). Mr. Lovato will be speaking about Albuquerque's flood control coverage, Albuquerque's need for water, water sources, water reuse, and more. Program, Tuesday June 11th--Kim O'Roark, of Home Care Assistance, who spoke to us in January, is returning. Program, Tuesday, July 9th--Square Dancers demonstrating the precision and beauty of the dance. It will include an invitation to the members in the audience to form squares and dance. These programs are part of the Coronado Thunderbirds General Monthly Meetings, which are held at the Mountain View Club on KAFB. Social time begins at 11:00 am, when you may purchase a meal for $10.00 per person. The business portion of the meeting starts at Noon, then the program begins afterwards.